When will be Dateline Extra on MSNBC next episode air date? Is Dateline Extra on MSNBC renewed or cancelled? Where to countdown Dateline Extra on MSNBC air dates? Is Dateline Extra on MSNBC worth watching? 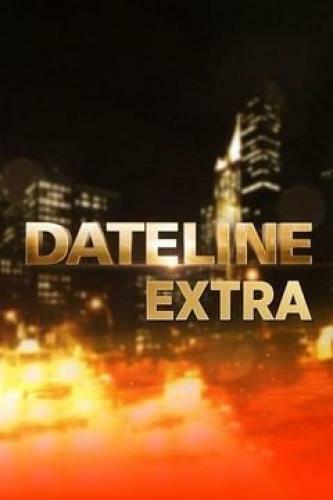 Beginning July 4th, MSNBC will broadcast Dateline Extra on MSNBC (aka: Dateline Extra), episodes from the Dateline catalog hosted by TODAY and MSNBC's Tamron Hall. A young girl abducted and raised by her kidnapper spends decades trying to find her way home, searching for her family, her name, and the truth about herself. An army major is attacked in his bed in the middle of the night; police uncover secrets that might hold the key to his murder. A puzzling case of a missing mother in a suburban neighborhood believed to be safe; when they investigate, police find a dark side behind the bright facade. A fatal car crash leaves two dead and one seriously injured; it may have not been an accident. Dateline Extra on MSNBC next episode air date provides TVMaze for you. EpisoDate.com is your TV show guide to Countdown Dateline Extra on MSNBC Episode Air Dates and to stay in touch with Dateline Extra on MSNBC next episode Air Date and your others favorite TV Shows. Add the shows you like to a "Watchlist" and let the site take it from there.